You are here: Home / General Information / Animals Today March 18, 2017: Choosing dog toys and treats wisely. Driving the Southwest US with dogs. 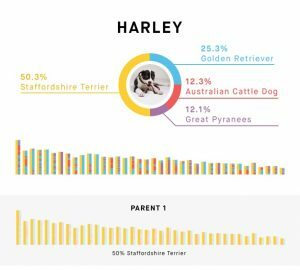 Genetic testing on dogs, with our dogs’ results. This show begins with Dr. Douglas Kunz, Medical Director of VCA Desert Animal Hospital who provides sage advice on choosing safe toys and treats for dogs. Doug advises not to use hard chew toys, which can fracture teeth. Doug also doesn’t like pig’s ears and bully sticks because they may harbor E coli bacteria. Doug offers many other insights in this segment. Then Lori gives her favorite tips for traveling with dogs, sharing some details of a road trip the family took with three large dogs. It’s always a learning process. The show continues with Ryan Boyko, CEO of Embark, a company that performs genetic testing on animals. Tests are performed to look for markers of genetic disease as well as breed breakdown. More than 100,000 genetic tests on dogs are performed each year, and the field is rapidly growing. So, we decided to have two of our dogs tested, and in the fourth segment, Lori and Peter discuss the results. Really interesting, informative and fun to do. Genetic test result from Embark.